Another Hernando made his visit to see this adorable little one! Our sponsorship for bears gifted includes Angels4Epilepsy matching every dollar of member contributions of $1.45 and TG Bears provides each bear at $27.01 less than retail to the group. Last month, Angels4Epilepsy contributed $630.75 for bears to children with epilepsy. 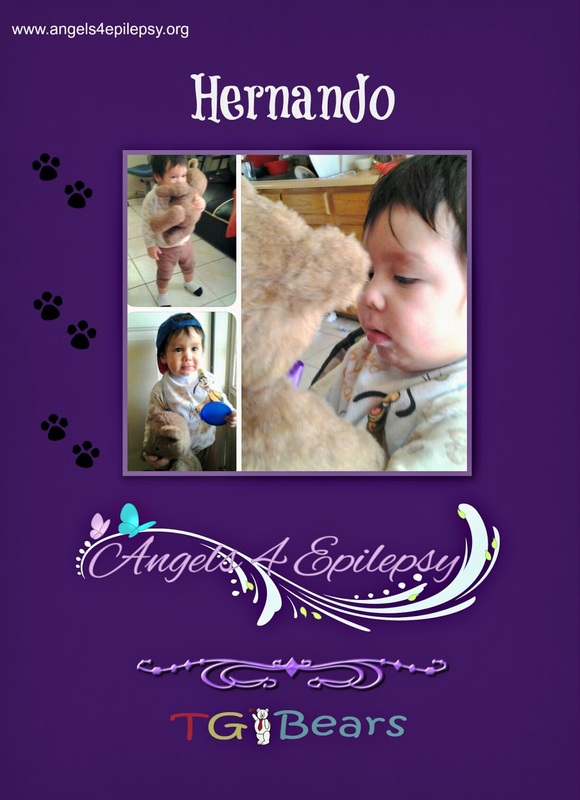 If you would like to donate to Angels4Epilepsy, please click on the link on the right hand side. We are a 501c3 so donations are tax deductible. To date, 54 bears have been delivered to children with epilepsy.